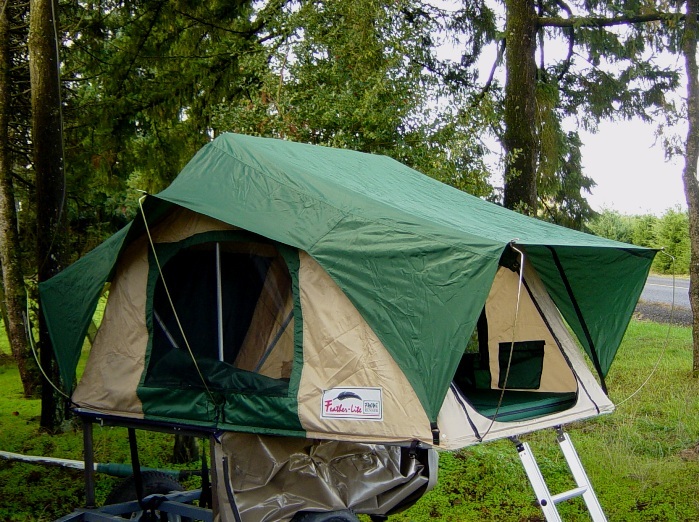 Here is a first look at a new reduced weight folding rooftop tent style unit we are testing and plan on carrying. As with our other units; it’s designed for comfortably sleeping two people with extra room on the end. Slightly small footprint, same 8’ length with a 51” verses 56 1/2″ width. 20% lower closed profile for reduced wind resistance in rooftop applications. Different side window awning design, allows for unobstructed viewing. 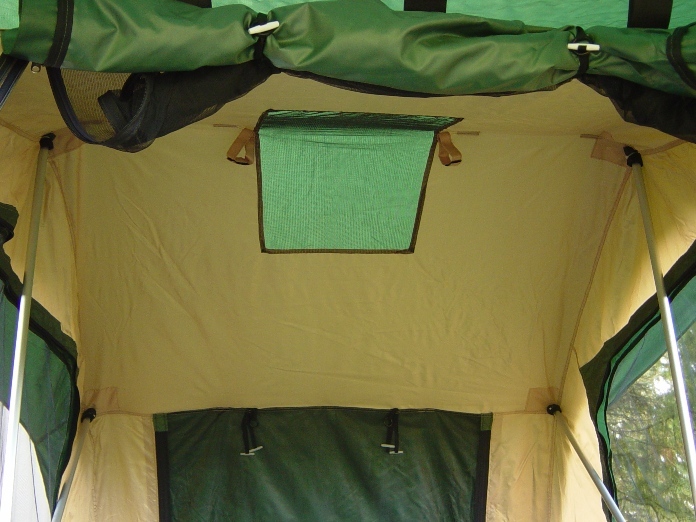 Similar to backpacking tents it uses screened panels in the roof for good ventilation to control condensation. 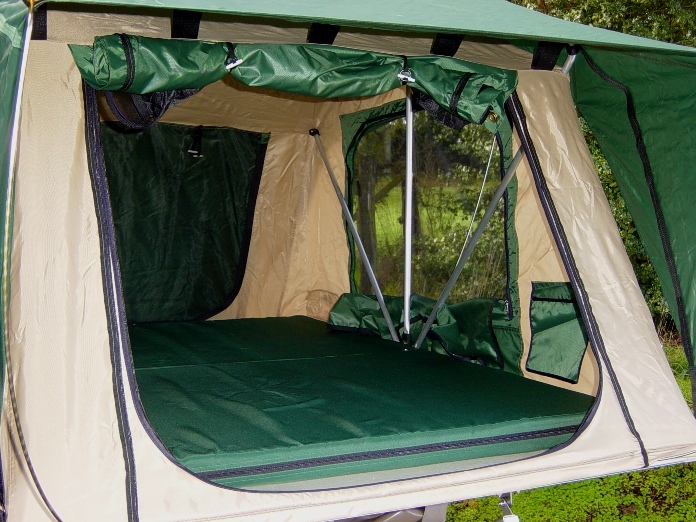 We’ll have pricing and specification information on Top-Tent.com shortly. Very interesting… we’ll be watching for further details! Thanks Bill! More to come soon.